What is an Intoxication Offense? Intoxication offenses range from charges such as driving while intoxicated (DWI) to intoxication manslaughter. A conviction for an intoxication offense can lead to the loss of employment, reputation, and driver’s license, as well as large fines and possible prison time. If you would like a free consultation to discuss your situation with a qualified attorney, please contact Houston DWI defense lawyer Neal Davis as soon as possible. Intoxication is any state in which a person has lost normal use of their mental or physical faculties due to the use of a substance such as alcohol or drugs. It is a crime to operate a motor vehicle in a public place while intoxicated. A public place is considered any place to which the general public has access. It is also a crime to cause the death of another person by accident or mistake due to the effects of intoxication. Under the law, intoxication is measurable based on the concentration of alcohol in a person’s bloodstream. If a person’s blood-alcohol concentration (BAC) exceeds 0.08%, they are considered legally intoxicated. Measuring the BAC accurately requires a blood test. Breath analysis equipment, or breathalyzers, measure the concentration of alcohol in a person’s breath. This measurement is converted to an equivalent BAC level to determine legal intoxication. For first-time offenders, DWI with a BAC between 0.08% and 0.15% is considered a class B misdemeanor. If the BAC measures 0.15% or more, then the offense is a class A misdemeanor. Continue reading to learn more about DWI offenses. (2) having an alcohol concentration in the blood of 0.08% or more. Punishments for intoxication charges vary depending on the severity and circumstances of the offense. Class B misdemeanor DWI carries a penalty of up to 180 days in jail and a $2,000 fine. Class A misdemeanor DWI carries a penalty of up to a year in jail and a $4,000 fine. A prior DWI conviction can leads to enhanced charges and subsequently harsher sentences. Intoxication charges can be successfully challenged in court. Police may not have had a legal reason to stop the person accused. If breath or blood samples were taken, law enforcement may not have used legal methods to do so. The person accused may not in fact have been intoxicated, or may not have been operating the motor vehicle. An experienced, reputable lawyer will be able to make these determinations in order to position the case for a favorable outcome. In a DWI, police typically stop the defendant for a traffic violation. Police may claim to smell alcohol and ask the defendant if they have been drinking. Police will then conduct field sobriety tests at the scene to determine whether physical coordination is impaired. If officers believe that the person is intoxicated, they will be arrested and taken to a police station. There, the person accused will be asked to provide a breath or blood specimen for testing. If the person refuses, police can obtain a warrant and even forcibly take the specimen. The defendant may also be asked to perform field sobriety tests in a room at the station where they will be videotaped. They may also be asked questions such as how much they had to drink and where they were going. It is a crime to cause the death of another person by accident or mistake due to the effects of intoxication. Intoxication is any state in which a person has lost normal use of their mental or physical faculties due to the use of a substance such as alcohol or drugs. Intoxication manslaughter occurs when a person under the influence of drugs or alcohol causes the death of another person. As a second-degree felony, intoxication manslaughter carries a punishment range of 2 to 20 years in prison and a fine up to a $10,000. Intoxication charges can be successfully challenged in court. If breath or blood samples were taken, law enforcement may not have used legal methods to do so. The person accused may not in fact have been intoxicated, or may not have been operating the motor vehicle. In the case of intoxication manslaughter, police are typically called to the scene of an accident. 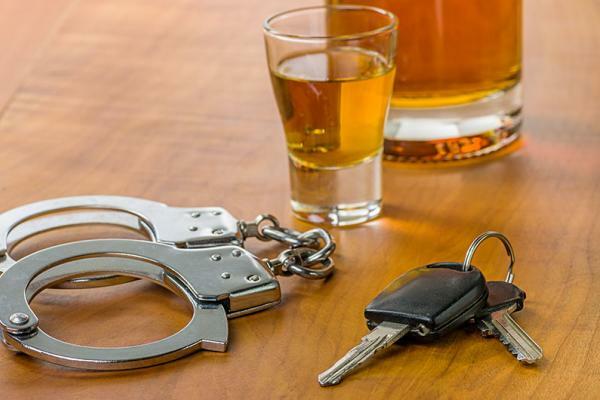 If they see evidence of intoxication—if a driver smells like alcohol or appears to be under the influence—they will conduct field sobriety tests. If police believe the driver is intoxicated, they will arrest them and take them to a police station. In most instances, a defendant is entitled to be released in exchange for a bond, pending the resolution of the case. Other factors can be considered, including the defendant’s work record, community and family ties, length of residency, prior criminal history, behavior while out on prior bonds and existence of any outstanding bonds. The trial court must set a reasonable bond. If bond is unreasonable, then the defendant can appeal. Defendants usually hire a bonding company to post the bond. Bonding companies typically require the defendant to pay ten percent of the total bond amount and put up some collateral to make sure the defendant does not “jump bond” by failing to appear in court. For example, if the trial court sets a $20,000 bond, a bonding company would charge $2,000 and require the remaining bond amount to be secured by property, such as a house. Like any business, some bonding companies are trustworthy and some are not. A reputable lawyer will be able to advise on which bond company to use. In setting a bond, a court can impose certain conditions over and above the amount of bond a defendant must post to be released. For example, a defendant might be required to turn in their passport, wear an electronic monitor or submit to a curfew, depending on the seriousness of the offense. An expert defense lawyer often can successfully negotiate minimal conditions of bond so that a defendant is not unduly restricted while the case is pending. A person convicted on an intoxication charge stands to lose their driving privileges for up to two years. In addition, they may have to pay thousands of dollars in annual surcharges, for up to three years, to regain their driver’s license. Q: I’ve been arrested for an intoxication offense. What should I do? A: You should immediately contact an experienced attorney to protect your rights. If you can afford bond and an attorney, then post the bond as well. If you can’t afford both, then spend your money on an attorney. Bond is a short-term gain; hiring the right attorney carries long-term consequences. Q: I’m an emotional wreck and can’t handle the stress of this situation. What can I do? A: The emotional toll of an intoxication allegation can be overwhelming. Seeing a reputable mental health provider can help you deal with the stress. Over our many years of handling these cases, we have developed strong personal and working relationships with outstanding mental health experts and can refer you to someone who can help you through this time. Q: How long will it take before the case is over? A: An intoxication case can take anywhere from a few months to two years to resolve. Prosecutors in larger counties, such as Harris County and surrounding counties, have many cases to address and prioritize older cases over newer ones. An effective defense investigation requires time, including obtaining the police officers’ disciplinary histories and any video or audio evidence, and examining the breath or blood testing results to see if they have been compromised. Blood testing alone can take weeks or even months to get the results. In intoxication manslaughter cases, an accident reconstructionist will often be hired. Finally, courts schedule cases for trial based on their age, and when the defendant is currently in custody. If a defendant is suspect in a recent case and is out on bond, their case will not be at the front of the line for a quick trial. Q: I hired a lawyer, but I no longer have any confidence in them. What do I do? A: It’s not unusual for a person to hire a lawyer shortly after being accused of a crime—sometimes because the lawyer is inexpensive—and later discover that the lawyer is not adequately qualified to handle a case as serious and complicated as an intoxication charge. At this point, the wisest course of action is to hire a more qualified lawyer to step in and take over the case. This happens frequently. The new lawyer contacts the first lawyer, and informs them of the client’s decision. The new lawyer then handles the case from that point forward. Q: I’ve talked to several lawyers. How can I feel certain I’m choosing the right one for my case? A: This is an important question. You should hire a lawyer who you feel is the most qualified and with whom you feel most comfortable. Examine their experience. How long have they been in practice? How many of these types of cases have they handled? What is their record of success? Also, consider the lawyer’s credentials. Are they Board Certified in Criminal Law? How are they rated by their peers? Among the most reputable and prestigious ratings are an AV Rated by Martindale Hubbell and admission into the Best Lawyers in America. Client reviews can also be helpful. Do not hire an attorney based on price alone. Hiring an attorney because of a low price can cost you your freedom, your career, your family relationships and your reputation. A: The short answer to “how much is the cost” may not be satisfying: it depends. Many factors, from the experience, qualifications and ability of the criminal lawyer, to the charges and the complexity of the case, determine the fee. Some cases may, aside from attorney fees, require expenses for experts and investigation. 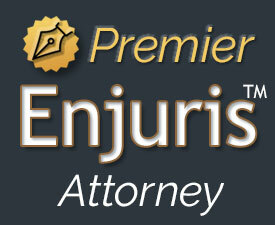 The custom and practice of Texas criminal attorneys is generally to charge a flat fee. We typically charge one fee to handle the case up to the point of being set for trial, then an additional fee if the case is set for trial. The client is responsible for bond, as well as expenses, such as experts. The benefit of a flat fee is that clients know from the outset how much they will pay an attorney, and there will not be any surprise monthly billing statements based on hours spent. Q: What can you guarantee? A: Ethically, no attorney can guarantee any outcome. But we can guarantee that we will do everything in our power to achieve the best possible outcome. While each case is different and involves its own unique set of facts, we have a proven track record of obtaining extraordinary results. We are proud of our record of charges declined, as well as cases dismissed for misdemeanors and felonies in state and federal court.